Drawing from past and present, British designer Clare Waight Keller builds the new Givenchy character through volume, mixing lean lines with loose and oversized pieces. Waight Keller, who designed the Duchess of Sussex’s wedding dress, said Wednesday’s show was about bringing menswear to the fore. 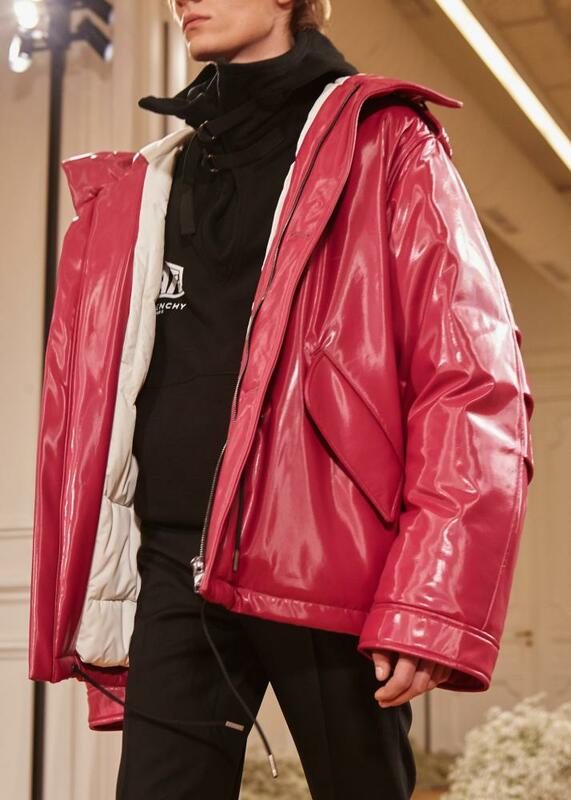 Speaking before the show at the label’s haute couture atelier, the designer described the collection as “perverse posh”, a buzzy phrase that may ring with some irony given the gilets jaunes anti-government protests in France. But here it referred to mixing informal with formal: slim, angular suits in violet and fuchsia were followed by hyper-casual hoodies and karate trousers; boxy padded jackets and windbreakers sat alongside elegant belted trench coats, and for every bonded wool jacket there was one dusted in white sequins with a feathery shirt. On their feet, half the models wore high-top trainers, the other half brogues or Chelsea boots. There was a deliberate crossover with her women’s collections – particularly in the long lines and balloon shapes up top, borrowed from the September shows, many of which are making their debut on the red carpet this awards season. To Waight Keller, it was all deeply personal – the 1970s seen through someone whose twenties coincided with the 1990s. What sounds like a pledge to gender equality is also good business acumen. 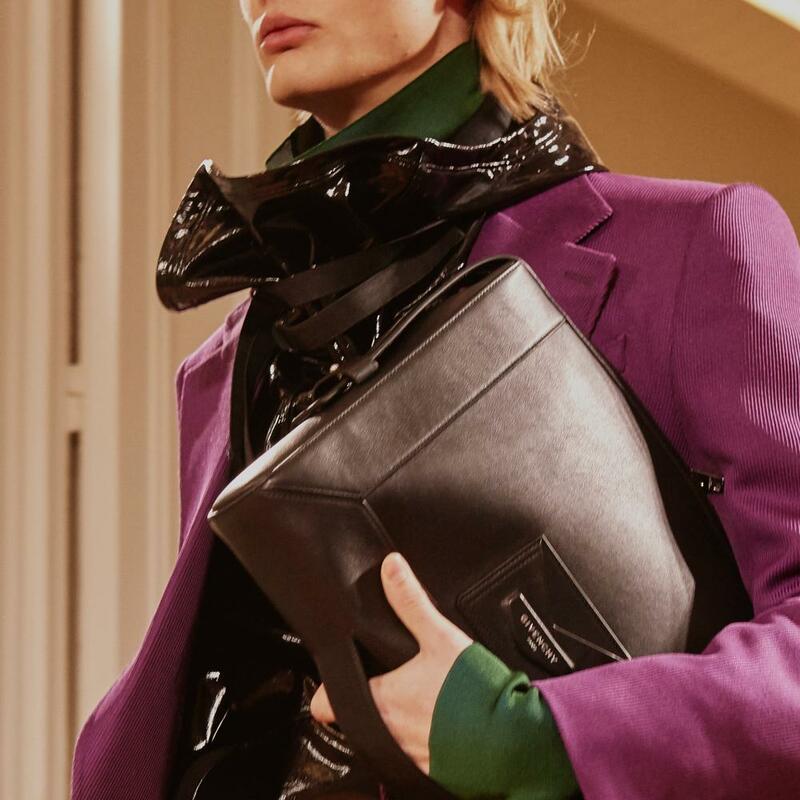 Givenchy is one of the few brands where sales are split 50/50 between womenswear and menswear and Waight Keller – a keen adopter of the co-ed show format – has the experience, having worked in menswear at Ralph Lauren and Pringle. According to insiders, the hope at Givenchy’s owners, LVMH, is that the label will reach the size of Dior, a member of the billion dollar club, and that Waight Keller is the woman for the job.